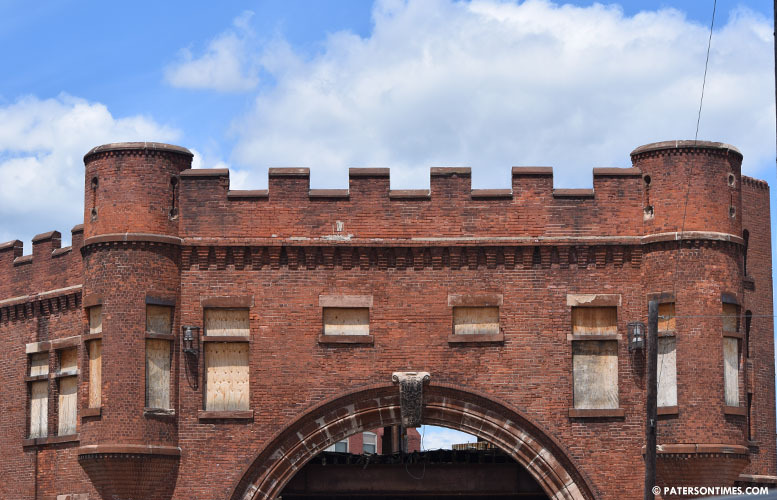 Prominent developer Charles Florio has extended his five-day deadline for a $8 million deal to close on the Paterson Armory and the Leader Dye site for another week. Municipal officials are strongly considering his $3 million offer for the Paterson Armory. Mayor Andre Sayegh’s administration is expected to present a resolution to the City Council next week to approve the sale of Paterson Armory, said officials on Tuesday. A negotiated sale is not possible for the Leader Dye site because it hasn’t been put out for proposals. A second firm, BlueOnyx of Paterson, is also vying for the same two properties, according to officials. Representatives for the company did not respond to a call seeking details of their proposal on Wednesday. It’s not clear how much the firm is willing to pay for the Paterson Armory. “I’m ready to close today,” said Florio on Wednesday. He has said he plans to develop the Paterson Armory as a mixed-use development, housing and retail. He has offered to take suggestions from the council on the project. Municipal officials said Florio is likely to be called before the City Council to present his plan for the site next week. “I have not been formally invited,” said Florio. His team has been preparing to make a presentation to the council. Florio raised questions about the sudden interest in the property from BlueOnyx. He claimed the firm is favored by former economic development director Ruben Gomez. He alleged Gomez was trying to strike “back door deals” while ignoring inquiries from his attorney. Florio said Gomez favored BlueOnyx. Gomez said that’s not true. He also pointed out he is not making the decision to sell either of the two properties. The new economic director Michael Powell is. Powell did not respond to a call for comment on Wednesday. Florio said BlueOnx hasn’t handled any major projects in Paterson over the past years. He said the firm owns some residential, two family properties in the city. Indeed, the firm hasn’t been before Paterson planning and zoning boards for any major projects in the past few years. Florio has. He has secured approval from the boards to build several major projects in Paterson. He wondered about how BlueOnx got involved. Deborah Hoffman, director of the Passaic County Department of Economic Development, provided the firm’s representatives an introduction to interim mayor Jane Williams-Warren. It’s not unusual for Passaic County to connect developers with towns to promote economic growth in its 16 municipalities. Florio’s offer has been well-received by council members. Some saw his willingness to listen and take their suggestions as a positive. When the council debated whether to auction off the two properties, members were told both parties were assessed at $2.75 million.